One of Mike Enriquez’s signature catchphrases has taken a whole new meaning Wednesday night. The veteran GMA News personality revealed on ’24 Oras’ that he is under an indefinite medical leave due to a kidney disease and an incoming heart bypass operation next month. Here is Mike’s full statement regarding his current condition. “I am issuing this statement in response to a growing number of inquiries regarding my prolonged absence from the radio and television programs that I host on GMA. I am currently on medical leave. I am being treated for kidney disease and I am scheduled to undergo a heart bypass operation in mid-September. My doctors have told me that two to four weeks after my surgery, I will be able to return to my normal duties. In the meantime, it is best that I rest and avoid stress to avoid any medical emergency before my bypass. While I am not yet back on the air, I continue to perform my functions as president of RGMA Network Inc. and as Consultant for Radio of GMA Network Inc. I thank everyone for their expressions of support and wishes for good health, and most specially for their prayers. My doctors are good and caring and God is great! Mike has been absent from his radio and television shows since last July which prompted questions from the audience regarding his whereabouts. In the meantime, substitutes such as Joel Reyes Zobel, Ivan Mayrina and Arnold Clavio have replaced him temporarily on ‘Saksi sa Dobol B’, ‘Sino?’, ’24 Oras’ and ‘Imbestigador’ respectively. A former disc jockey (his on-air name was Baby Michael), Mike Enriquez has been one of the key figures of GMA News since the late 1990s. He and rival ABS-CBN News anchor Noli de Castro are considered the faces of early morning radio and television primetime news in the Philippines. Mike is also the self-proclaimed ‘Sumbungan ng Bayan’ ever since ‘Imbestigador’ was launched in 2000. And as mentioned earlier in his statement, Mike is also at the helm of RGMA Network, supervising the operations of Super Radyo AM and Barangay FM radio stations in the country. From the Tube would like to wish Mike Enriquez a full and speedy recovery. Get well soon. Tragedy strikes on the first Friday of June. 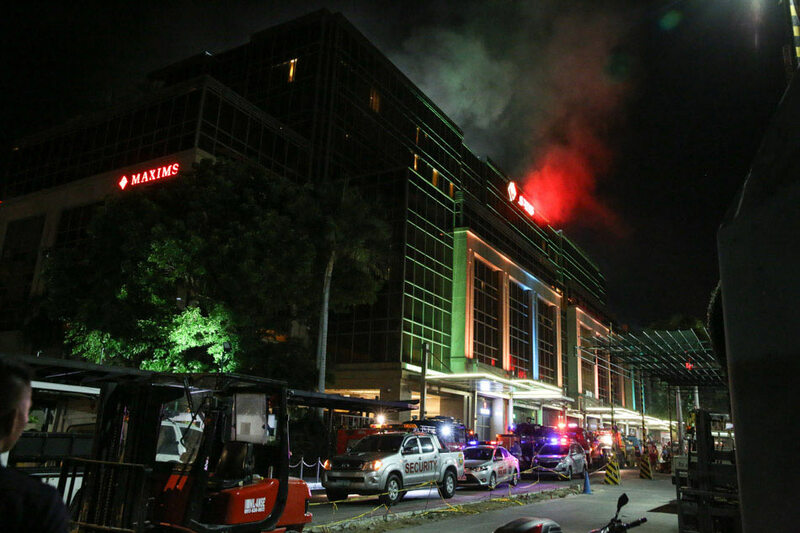 On June 2, 2017, gunshots and fire broke out at the Resorts World Manila in Pasay City. When it was all said and done, 37 people were found dead through suffocation, and the gunman, later identified as former Department of Finance employee Jessie Carlos, shot and immolated himself to death. Here is how the country’s major news outfits fare with the coverage of the incident. The burden of ABS-CBN News’ coverage was shared between DZMM TeleRadyo and the ABS-CBN News Channel. Both networks went on breaking news mode the moment the attack at Resorts World Manila struck. ANC and DZMM continued to provide updates of the tragedy over the next 24 hours, with the former somehow eschewing its regular programs in favor of the generic ‘ANC Live’ brand beginning at 11:30 a.m. DZMM continued to air its regular programs but on occasion it gave way to special coverage of the said incident. GMA News TV’s coverage began through its simulcast of DZBB shows ‘Saksi sa Dobol B’, ‘Sino?’ and ‘Dobol A sa Dobol B’. Their marathon continued through ‘News to Go’ and ‘Balitanghali’. The network essentially preempted all regular programming in favor of TV shopping blocks for much of the afternoon. In between, newscasts such as ‘Quick Response Team’, ‘Balita Pilipinas’ and ‘State of the Nation’ continued to update on the situation. While CNN Philippines is a 24/7 station (at least for cable and satellite subscribers), the network’s coverage at Resorts World Manila did not begin until 6:00 a.m. once ‘New Day’ kicked in. From that point on, CNN Philippines went on three different phases. First, the network’s early morning coverage was aired in English, followed by a Filipino language marathon of the incident during the late morning through early afternoon. After that, English language coverage resumed all the way till the deep part of the evening, with some regular programming in between. Unfortunately, Luchi Cruz-Valdes’ outfit failed to deliver when it mattered most. Although Radyo5 92.3 FM (and by extension AksyonTV) provided some breaking news on the Resorts World Manila tragedy, the networks continued to air regular programming as if nothing had happened. Even the ‘Aksyon’ newscasts on TV5 had a bad outing as well. Considering that the newscasts only have at least an hour of airtime (not to mention Raffy Tulfo’s penchant to do some extracurricular activities not related to news), it is clear that LCV and company have too little to offer with a meager cast and limited time. The next two days saw further updates of the Resorts World Manila tragedy, but other than that, it was all back to normal programming. Additional press conferences at the Resorts World Manila, including the revelation of the gunman’s name, were a few highlights of the weekend. Overall, it was a field day for major news networks in the country. But while Ging Reyes, Marissa Flores and Armie Jarin-Bennett have done a pretty good job putting all the work in dealing with the Resorts World Manila tragedy, the same cannot be said for Luchi Cruz-Valdes, and it’s a shame. When tragedy strikes, somebody must take action. And in times like this, news networks and other related organizations should be first on the scene to deliver the news and bring up-to-date reports to everyone. If there is one thing to describe about GMA News TV, it’s the fact that they earned a reputation for being the most cluttered of the four major news networks in the country. And airing movies, Filipino or foreign, only add insult to injury. This week, GMA News TV brought back its much maligned ‘Takilya Blockbusters’ movie block, featuring classic films. This time around, the movie block aired starting at 6:00 a.m., an uncharacteristic choice of hour for movies on free TV. Honestly, it is a bad decision by News TV to air movies at 6:00 a.m. People who usually wake up at this hour always begin their day by watching the news, and for News TV to air movies in the early morning, it is a slap to the face for the network that GMA always claims to be the ‘no. 1 news network in the country’. What made it worse is that News TV already has a poor history of replacing and replaying shows at 6:00 a.m. They attempted a hook-up with Super Radyo DZBB 594 for ‘Saksi sa Dobol B’, followed by a morning show in ‘Kape at Balita’, before making a decision to simply replay classic documentary programs. They could have simulcast ‘Unang Hirit’ in a similar way that rivals ABS-CBN News Channel and AksyonTV simulcast their VHF channel’s morning programs, but since GMA 7 is also a VHF channel, News TV wanted no part of simulcasting GMA’s morning program. GMA News TV needs to stop airing these movies. They do not deserve to air on a news channel like News TV, and are more applicable to specialized channels like ABS-CBN Sports + Action. News TV needs to go back to what they do best: news reporting and public affairs programming, which is what their rivals are doing. But with the way things are going, I doubt if News TV will ever eschew these movie blocks. After all, they have been suffering from an identity crisis, as they aired not only movies, but also classic programs from predecessor QTV. And as they continue to press on by making questionable programming decisions, it may just be a matter of time before GMA executives finally pull the plug on News TV.